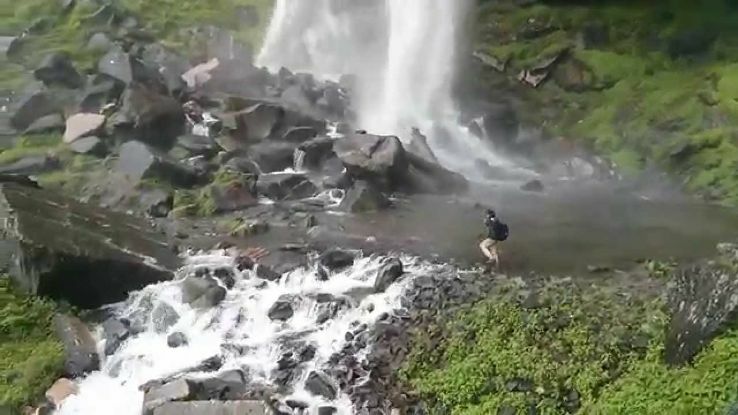 This waterfall is nearly 3km trek from vashisht temple. Vashisht temple is 2km from the main market area of Manali. A slow paced walk will take around 25 mins to reach the base of this waterfall. While traveling you may encounter beas river and beautiful snow peaks of Rohtang pass. At the base of this waterfall a beautiful temple called- yogini Mata temple is present. There is a small pool which is formed naturally. One could take a bath and spend some time in here. In the temple situated at this place, “Mundan” can also be done wherein the devotee would offer his hair to god. This waterfall has big tall mountains on one side and the valley on another side. This makes it picturesque in nature. This mesmerizing scenery will surely steal your heart! On the way up ahead, one can even opt for small valley crossing cables. Before beginning the person is advised to wear trekking shoes for a comfortable walk. The place is calm and beautiful. One can complete this trip in a half days’ time.